Can you please add "Find in Layer Panel" to a toolbar in Affinity Designer/Photo? 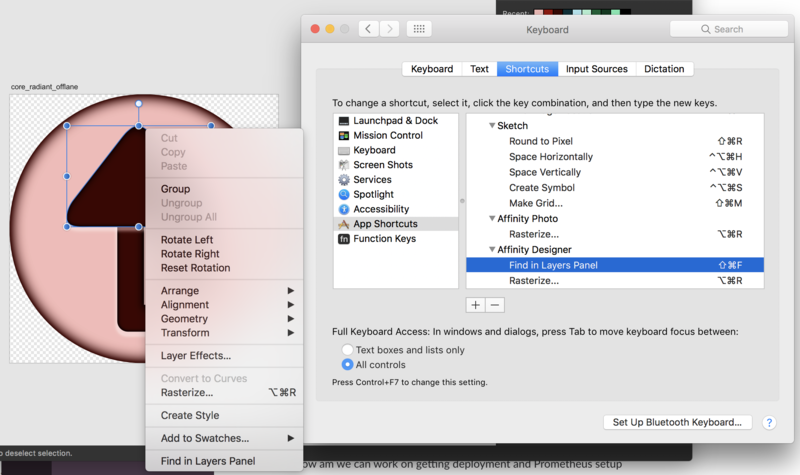 I can't add a shortcut in macOS for it because it doesn't exist in a menu, outside of right clicking something on the canvas. More specifically, I can add it, it just doesn't work. I'm finding myself having to find several dozen layers individually for adjustments because AD's cmd+shift+v often times fails to apply the same sized effects to different layers. This happens to me a lot; I don't know the cause (I haven't resized the layers, but I have rotated them). There's an option in the Preferences to enable this functionality permanently. Go to Affinity Preferences, User Interface section and check Show Selection in Layers Panel. Regarding the effects, i believe we already have this logged but without seeing the original file i don't know if both relates to the same cause. Any change you can upload an afdesign file with a source object and a target one where pasting the effects from the first on to the target change their size please? Thanks.